Amidst all of the controversy surrounding President-elect Donald Trump’s selection of Rex Tillerson as his Secretary of State, former Secretary of State Condoleezza Rice has given her full endorsement of Tillerson. President-elect Donald Trump has ended his search for a secretary of state, and while of course the media and Trump’s detractors have been critical, some rather influential voices have spoken up in support of the choice. Trump has decided upon ExxonMobil CEO Rex Tillerson to head up the State Department, citing as reasons for the choice his “tenacity, broad experience and deep understanding of geopolitics,” Trump’s transition team told The Washington Post Tuesday. 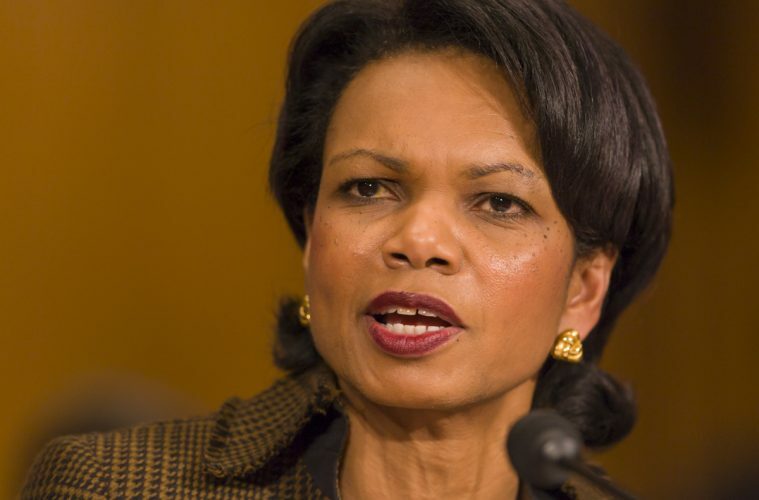 Though Tillerson will likely see some opposition during the confirmation process, he can apparently count on the support of one of the best and most popular former secretaries of state, Condoleezza Rice. Rice, who served admirably during the George W. Bush administration, took to her Facebook page Tuesday morning to post a message about Tillerson potentially being the nation’s next top diplomat. Previous ArticleDoes Twitter Have Right to Suspend Trump? Next ArticleWill Trump Tap Kanye West for Role in Administration?